Outstanding product! These people know what they are doing. I recommend this to anyone missing walleye. Fresh and delicious! So happy we found you! The fish is great. I will not in the future, however have it sent 2 day air. It took 7 days and for the extra cost of 2 day vs regular delivery I don't think it was worth the extra money.. FYI the dry ice was gone by the time that it did get here but the fish was still totally frozen. The Walleye were fantastic. We thawed them; a light coating of flour, dipped in egg & then a light coating of panko bread crumbs, refrigerated overnight. The next evening we fried them in a hot olive oil--nothing better, no left overs. Will certainly order from Walleye Direct again. This is my 3rd order of the Walleye and each have been outstanding in terms of taste and quality! Thank you! Only thing missing was the Shore lunch! Great looking Walleye, packaged and shipped beautifully. Still frozen Rock hard even with the trip to Arizona. This was my second order. 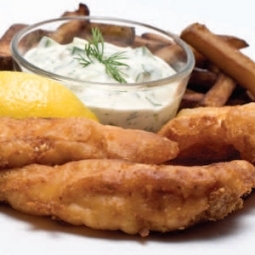 I highly recommend these walleye fillets with the skin. I think the skin imparts more of that walleye nuttiness to the fish. It is pretty easy to remove while the fillets are mostly frozen, if you like. If allowed to "swim" in a cold water bath for a few moments until defrosted, the result is the taste and texture of freshly caught fish. Delicious! Walleye is the BEST. 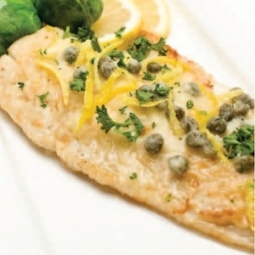 Walleye Direct delivers fast with freshness. I prefer grilling with skin on. Outstand flavor. Will order again. Our order came through to California still frozen. Put some on the BBQ and they were delicious! The Walleye arrived in perfect, flash-frozen condition and I'm already enjoying it! My fiance agrees that the fish fillets are the perfect size and have wonderful flavor! I grew up in Manitoba and every summer would go pickerel (walleye) fishing with my family at our family friend's cottage at Killarney Lake. Since moving to the US, I've longed for it, as walleye never reaches the grocery stores or markets where I've lived (New Jersey, Texas and California). As such I've always made an effort to have it when I go back to Canada, and most recently when I was in Minnesota for my son's hockey tournament where we feasted on fried walleye. I wish I had discovered you sooner! 11 lbs of walleye fillets and a couple of pounds of walleye cheeks have found their way into our bellies - steamed, fried, broiled and BBQed on the grill. They arrived perfectly frozen even during the last heat wave in California, and defrosted into glorious slabs of this prized freshwater fish, just as if they had been caught, cleaned and filleted as I did as a child. I've been sharing with several of my friends from Minnesota and Wisconsin who've also transplanted to the San Francisco Bay area, all to rave reviews! I am a bit surprised by this email. I have not received any Walleys yet..... I have gotton about 5 emails saying it was out of stock! Please follow up! Shipping, quality, and customer service are Highly recommended. The walleye was melt-in-your-mouth good - thanks very much! Bought 11 Lbs frozen Walleye, arrived quickly and was still frozen, and I live in Phoenix! Beer Battered last weekend, it was great, just like fresh. Removed skin as directed, easy and fast, will order again!! The fillets arrived with a bit of dry ice to spare. The fillets were all frozen solid! Vacuum sealed them in smaller parcels, except for a few to deep fry on Friday night. Thawed and removed the skin. 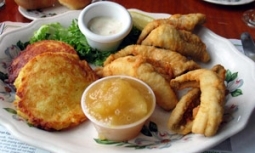 They fried up beautifully and renewed my 40 year old memory of what great batter fried walleye should taste like. Looking forward to the next fry.